Now the Government departments can build mobile apps with ease! Yayy!! that was another milestone for ThoughtRipples Technologies. Kerala State Information Technology Mission (KSITM) which is an autonomous nodal IT implementation agency for Department of Electronics and Information Technology, Government of Kerala which provides managerial support to various initiatives of the Department had procured an enterprise edition of our product MakeandManage. An MoU had been signed between them on 18th March 2018, which in turn avails the features of MakeandManage to be used by the state IT Mission to deploy mobile apps for internal communication and public relation requirements in various government departments. An interactive training section for officers in IT Mission was conducted by ThoughtRipples. More than 50 MakeandManage accounts were created as part of training. 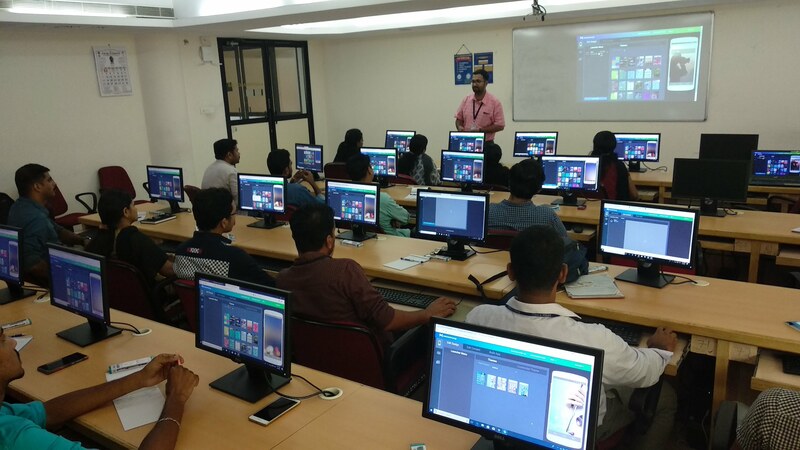 All officers actively participated in training sessions and grabbed the skill of making apps by considering practical use cases. This initiative by Kerala IT mission is a part of commendable efforts put by Government of Kerala through Kerala Startup Mission for the enhancement and growth of startups incubating in Kerala.